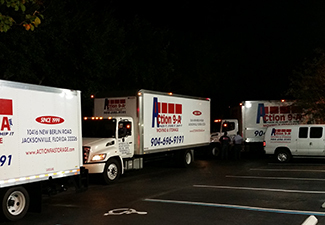 The experts at Action 9A have been managing corporate office moving, office furniture installation, and cubicle moving and installation in Jacksonville since 1999. Whether you're only moving a few dozen or a couple thousand employees, we have the equipment and professional, experienced crew to ensure your transition is as seamless as possible. Our company can help with complete office setup of all types of furniture, cubicle installation and configuration, office furniture storage, decommissions, and more. Moving hundreds of employees is a challenging time for any company. When you need to move those employees AND their cubicles, keeping work interruption to an absolute minimum is critical. At Action 9A we understand those challenges and we have the experience required to keep that interruption to a minimum. Our crews will be standing by to start work immediately, and we'll make sure you are up and running again as quickly as possible. 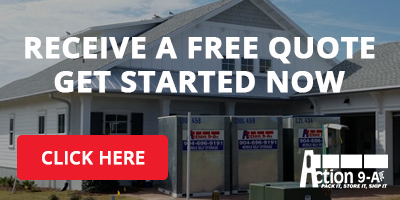 Use our website's convenient "Get a Free Estimate" contact form for your free office moving quote. To learn more about our monthly specials, call us at 904-696-9191 and we'll help you negotiate the best rates for any office move in Jacksonville, Florida. We are a preferred vendor for many of the largest commercial distributors in the nation, and we frequently receive large shipments for our clients in our air conditioned warehouse space. Have your next shipment of cubicles and furniture delivered to Action 9A and we'll coordinate with you to schedule the delivery to your location. Our professional staff will deliver your items and can complete the entire setup and assembly for you. 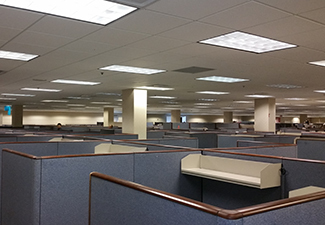 To learn more about our cubicle assembly and office relocation services, give us a call at 904-696-9191.